Literary Lindsey: It's Monday and it's almost Thanksgiving! How was your weekend? We had a Thanksgiving dinner with the church youth group and co. on Friday night. Then we spent the rest of the weekend reading, catching up on TV, taking a nap or two, and making up lots of boxes for Operation Christmas Child. On the schedule for tomorrow? 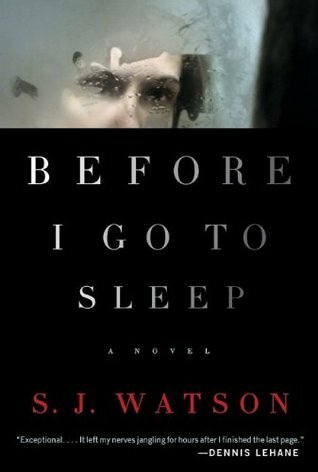 A review of Before I Go to Sleep. See you then! And don't forget to leave me a comment and tell me what you are reading this week. Come see my Monday! And have a great week! I really want to read Before I Go To Sleep! I am in the minority for thinking Before I go to Sleep was just ok, look forward to your review. Half the Sky looks fascinating. I thought Before I Go To Sleep was entertaining. I read it last summer, and it was a fun book. Loathed Kavalier and Clay, both times I read it. Once for my own wishes, another to remember it enough to discuss it at one of my book clubs. Argh! I'm in a minorty, but I really can't stand that book.